Scheda: Nazione: USA - Produzione: Katie Davies, Jo Locke - Distribuzione: History Channel - Fotografia: Stuart Dunn - Montaggio: Yulia Martynova - Musiche: Didier Rachou - Formato: Color, serie tv - Durata: 45' ogni episodio. Cast: Barry Clifford, Chris Macort, Scott Wolter. 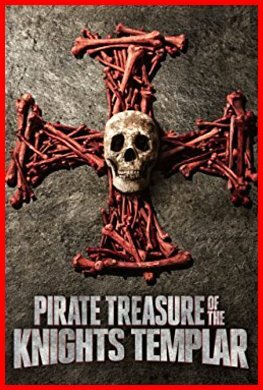 Plot Summary, Synopsis, Review: IMDb - jasoncolavito.com - lavamovies.com - tvmuse.com: «Lost treasure is the foundation of legends and lore, and the greatest lost treasure of all belonged to the Knights Templar. Now, from the medieval fortified cities of Europe to the holy lands of the Middle East and from a secret pirate island in the Indian ocean to America's first great cities, renowned underwater explorer Barry Clifford and historian Scott Wolter are unearthing new evidence in an attempt to find hidden links between two of history's most legendary sects, separated by 500 years: the medieval Knights Templar and 17th century pirates. What they learn may very well alter the course of history and lead them to treasure that's been buried for centuries».